Road gators, or the treads of failed tires, can be seen lining freeway shoulders as you drive during summer. 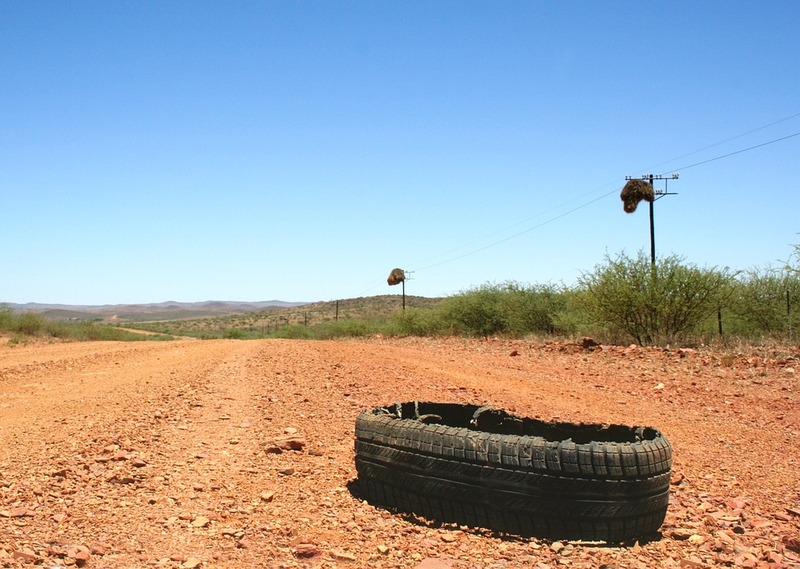 The tire-blowout season runs from May through October. When the temperature is hot and motorists drive fast and far in heavily loaded vehicles, you have the perfect storm for tire blowouts. The increased wear and tear can push injured or neglected tires beyond their breaking points. Underinflation – Air allows the tire to carry the weight of the vehicle and its cargo. Underinflation is the most common way of killing a tire. When the tire pressure is below the manufacturer’s recommendation, the tire’s internal components, such as the fabric, steel, rubber, and composites, strain way beyond their normal limits. They will gradually overflex, weaken, and fail without the proper air pressure. Tire pressure must be checked regularly to avoid blowouts. You can look for the recommended tire pressure of your vehicle on the driver’s side doorjamb. Newer vehicles are equipped with Tire Pressure Monitoring Systems (TPMS), which became mandatory for all automobiles beginning in 2007. The TPMS will automatically alert drivers when their tire pressure is low. Potholes – You could severely injure your tire when you slam into a curb or a driveway lip or hit a pothole. The impact of the tire hitting an obstacle can cut or fray the internal components. It is also possible for an obstacle to puncture the fabric and rubber, killing your tire on the spot. Overloading – Just because you can fit a large load into your vehicle doesn’t mean it can adequately support the weight. The situation will get worse if your tires are underinflated. Before bogging your vehicle down with unnecessary pounds, check the Gross Vehicular Weight Rating of your vehicle. Note that if you are carrying the maximum load allowed for your vehicle, you have to inflate your tires to their maximum pressure to compensate. If your tires are not staying inflated, bring your vehicle to a Salt Lake City auto repair shop and request a professional demount of the tire for internal inspection. Tires in Salt Lake City must be in top shape to survive rugged terrain and diverse weather. Take your tires to the nearest Utah auto repair center regularly for inspection. Tire Store Utah > Blog > What Causes Tire Blowouts?